This is the latest driver for the ‘Optimal Drivers for Enterprise' (ODE) branch which is dedicated to relatively long term stability for ISV certification, OEMs, and Enterprise customers. This is the fifth driver release for the R352 driver branch, the ‘Optimal Drivers for Enterprise’ [ODE]. ODE branches are dedicated to relatively long term stability for ISV certification, OEMs, and Enterprise customers. DirectX 12 is supported, but not available with Fermi GPUs. Clone mode across graphics processors is handled by the Windows 10 OS and not by the NVIDIA driver. Consequently, there are no controls for cross-adapter clone mode in the NVIDIA Control Panel under Windows 10. As cross-adapter clone mode is handled by the Windows 10 OS, there are no display controls in the NVIDIA Control Panel if no display is connected to the NVIDIA GPU. 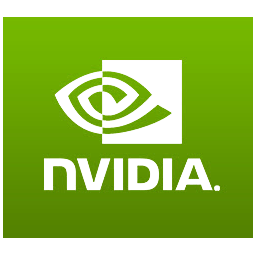 NVIDIA Control Panel->Display->Set up multiple displays->Smart clone display option. Added G-SYNC indicator and support for windowed mode. Moved the Dynamic RGB Range controls from the Adjust Desktop Color Settings page to the Change Resolutionpage. Mosaic: Added reboot persistence, hotplug/unplug, and undock/dock support for notebook systems.